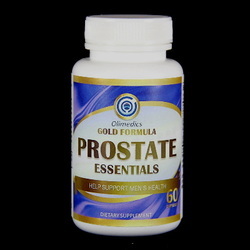 ​One of our top line Gold Formula™ products, Liver Essentials™ is the collection of the most advanced nutritional science research, designed to bring you the most extensive benefits to prostate and urinary tract, and to improve critical functions of prostate including male sexual response, prostatic secretion, and hormonal regulation. Prostate Essentials™ is a true bless to men of the hard working generation. Active Ingredients: Beta Sitosterol, Ginger (Zingiber officinale), Green Tea, Lycopene, Nettle (Urtica dioica), Pumpkin Seed Oil, Saw Palmetto, Selenium, and Turmeric (Curcuma longa).